The ukulele has become incredibly popular among musicians of all levels because it’s fun to play and it’s adaptable to a wide range of musical styles. The ukulele is a firm favourite for musicians of various abilities and techniques and it works great in relaxed or formal settings. The best ukuleles are incredibly versatile and are suitable for both traditional and contemporary music. Soprano ukuleles are the most popular and traditional ukulele size. They are smaller and higher pitched than other sizes, and they have that classic, happy tone that most people associate with the ukulele. There are plenty of soprano ukes out there to choose from, but which ones are the best? Read our reviews of the top 5 to find out. 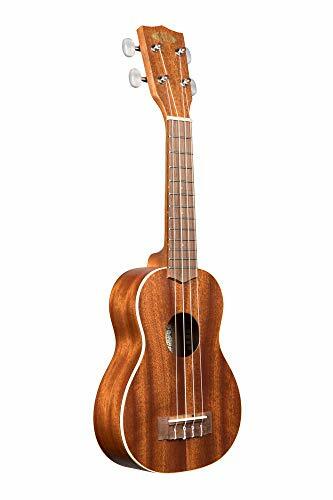 Soprano ukuleles are the smallest in the ukulele lineage, and the Fender U’Uku’s name betrays its identity, having been derived from the Hawaiian word for “tiny”. But the name notwithstanding, you will be blown away by its warm beautiful tone and stylish design. The solid mahogany body gives this ukulele a vivid and balanced tone. The three-piece mahogany neck is straight with a 12-fret rosewood fingerboard, which has accurate intonation up and down the neck. It also features a black body and fingerboard binding, open-gear chrome tuners, smooth natural satin finish and quality Aquila strings. C﻿ordoba ukuleles are well-known for their quality, and this one is no different. Though small in build, the Cordoba 20SM packs a powerful, well balanced, and articulate tone that is aided by its solid mahogany top. The beauty of this handcrafted ukulele exemplifies the allure of its traditional heritage. The thoughtful detail that went into the fretboard, rosette, and bridge also make it unique. The intonation is very good all along the neck and it has a very consistent tone once you tune it. Its small build makes it easy to carry around and it’s so much fun to play you won’t want to put it down. The Martin OXK soprano uke is well-known for its top notch quality. It’s back, sides and top are made of high pressure wood laminate (HPL), a feature that sets it apart from other all-laminated instruments. For a soprano ukulele, the tone is unbelievably warm and full, while the intonation is also accurate and consistent. The koa-like finish accentuates its looks and the texture on the laminate neck makes it easy to handle. Also contributing to its durability is a robust stratabond stem dovetailed to the body, sitka spruce bracing and mahogany end-blocks. 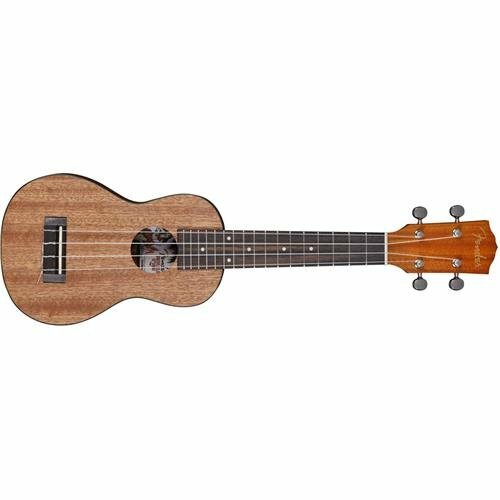 The sturdiness and durability of this uke make it a great soprano ukulele to travel with. 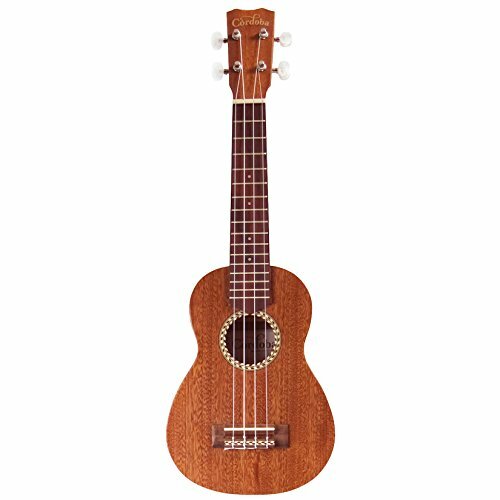 It’s tough to find any list of top ukuleles without a uke from Kala. The Kala KA-S soprano ukulele is a top notch and affordable little uke that sounds and plays like it costs many times more. It’s not an ornate instrument, but the tone and playability are almost unmatched. Despite its small size, the KA-S has a rich, mellow, full-bodied tone. It also features a rosewood fingerboard with great action, and geared tuners so it will stay in tune. This is a great-looking, great-playing soprano ukulele that won’t break the bank. Luna Guitars Pineapple Soprano ukulele is an amazing blend of unique design features that make it stand out from other ukuleles. The combination of quality and features make this one of the best affordable soprano ukuleles. It has a sturdy all-mahogany body that is formed into the shape of a pineapple, making it easy to hold and fun to play. The body has an attractive grain pattern and features the tattoo series’ signature traditional tattoo designs. The intonation is excellent on all four strings up and down the neck, stays in tune very well, and will give you a balanced, warm tone to announce its presence wherever you go. All of the instruments that we explore in our soprano ukulele reviews are great choices, and you really can’t go wrong with any of them. All of the ukuleles on this list sound great and are fun to play, and you’ll find yourself picking them up to strum again and again. So whether you are looking for something that is easy to play and looks great, or an instrument that is portable and durable, you won’t be disappointed with any of the ukes on this list. Picking up a good soprano ukulele is a great start on your musical journey with this awesome instrument.